When the NYX Ultimate Shadow Palettes made their debut on Ulta's website a couple months ago, I was hesitant because eyeshadows have not always been one of NYX's fortes. But who can turn down yet another gorgeous, warm tone eyeshadow palette, am I right beauty addicts? So somehow, despite my doubts, it made it into my shopping cart and I have been playing around with it ever since. Now if you're thinking this might be an unnecessary addition to your makeup collection, let me tell you why you're wrong. 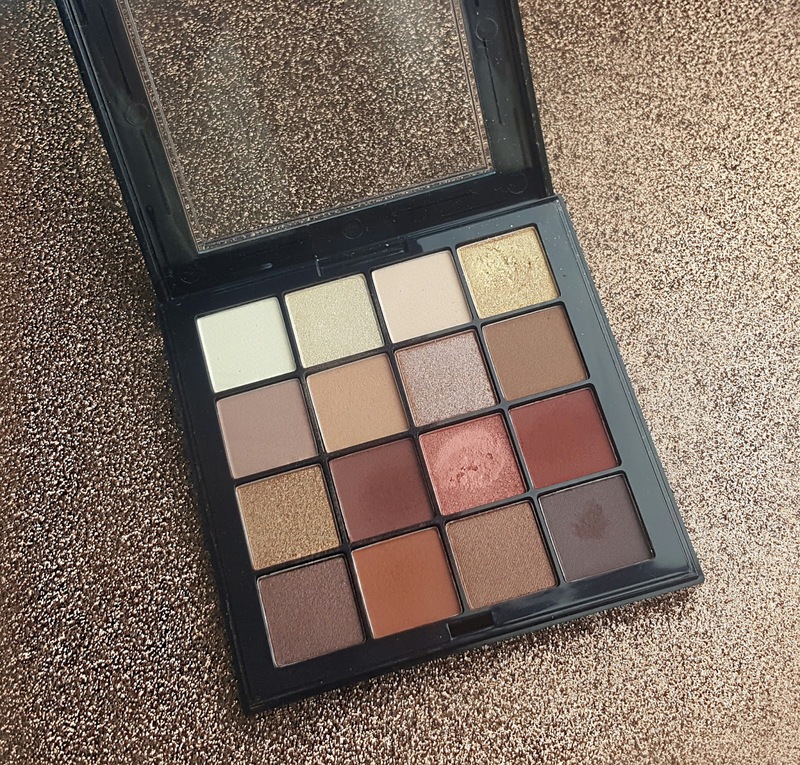 Not only is the quality impressive, but also there is absolutely nothing comparable to it at such a price point that is as readily available to those of us beauty addicts on a budget. The Warm Neutrals palette has been my go-to consistently because the color combinations are so inspiring, can go with any look, and transcends any season, warm or cold. But enough about that--let's get into the nitty gritty! 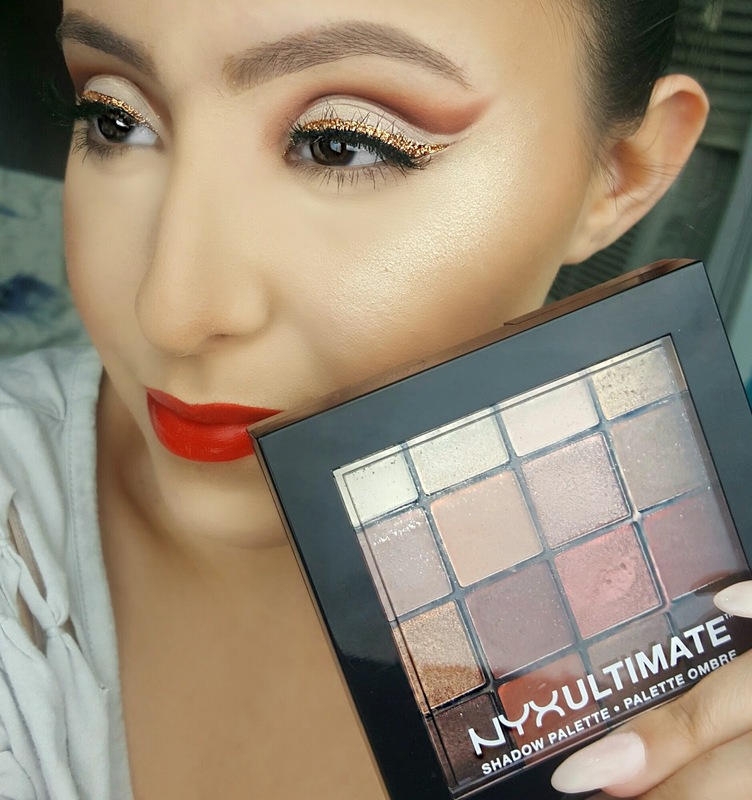 The NYX Ultimate Shadow Palette in the shade Warm Neutrals is an eyeshadow palette containing 16 eyeshadows. 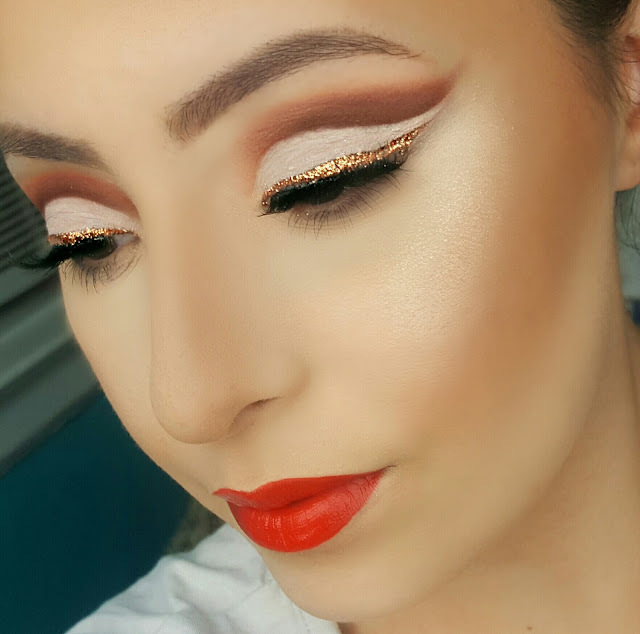 The eyeshadows have satin, matte, or metallic finishes and range from neutrals to golds and warm, earthy shades. The entire line of the NYX Ultimate Shadow Palettes are available at Ulta for $18 each. 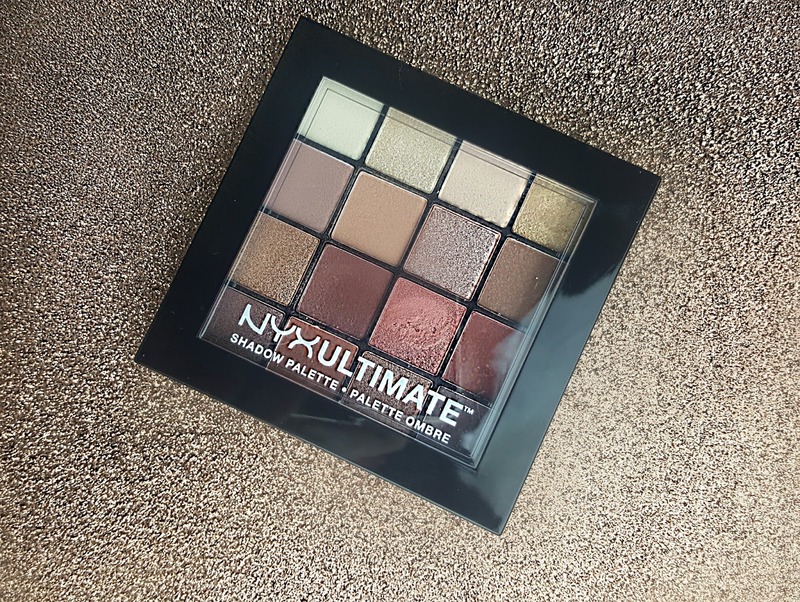 Here are the claims NYX have made straight from their website, "We named this collection the Ultimate Shadow Palette because that’s exactly what it is--a pro-level palette packed with 16 high-performance eyeshadows in a rainbow of tone-inspired shades. Available in four striking color combinations--Neutral-Cool, Neutral-Warm, Bright and Smokey/Highlight--each set features a vivid mix of velvety-rich textures and mesmerizing finishes that range from mattes and satins to shimmers and metallics." In the past, I was not a fan of NYX's eyeshadow quality--they were always chalky and unpigmented. However, I must say that this palette in particular is definitely an exception. 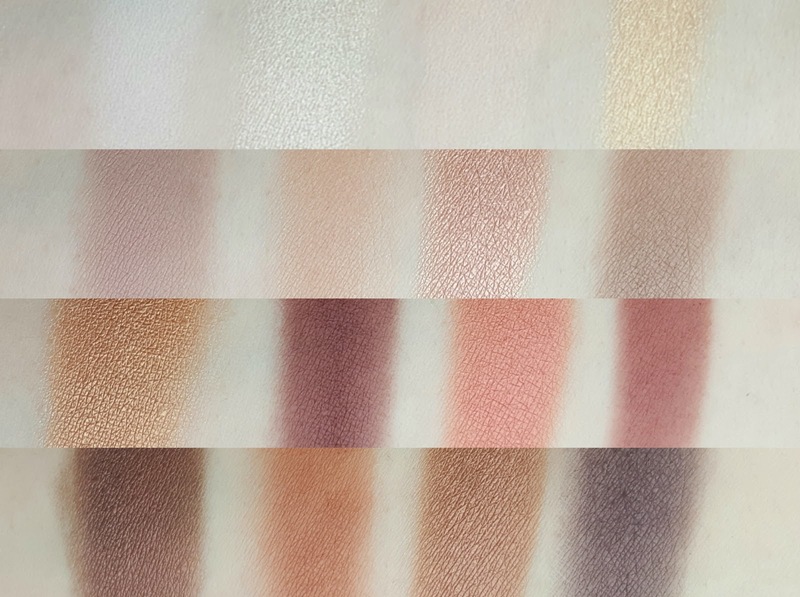 Not only are the eyeshadows buttery smooth and pigmented, the layout and color choices are inspiring. 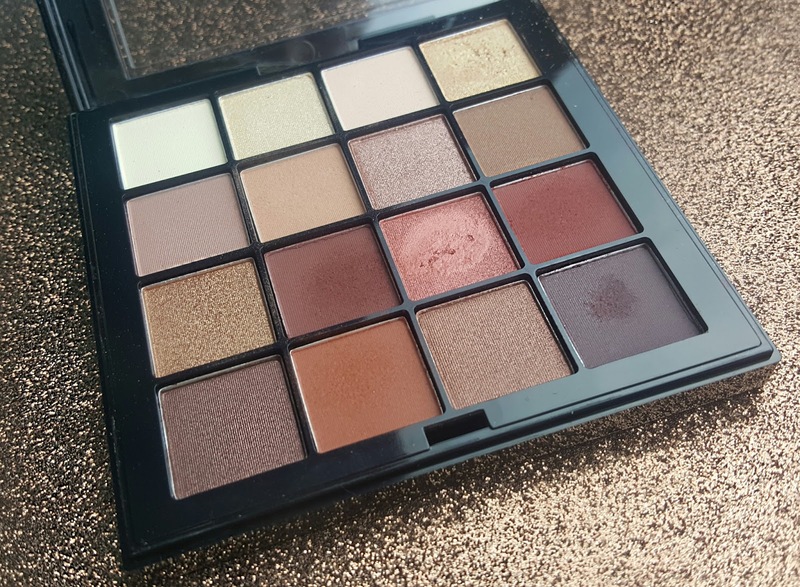 I often find myself reaching for this palette when I have the time to do my eyeshadow. Also worth noting is that no matter what primer I used in conjunction with these eyeshadows, they lasted all day and I can wear them without experiencing any sensitivity or allergic reaction. My go-to eyeshadow primers at the moment are Mac Pro Longwear Paint Pot in Soft Ochre or the Lorac Behind The Scenes Eyeshadow Primer, depending on how the texture of my lids are that day. No matter which one I use, however, these shadows always last through the entire day. Also worth noting is that I don't experience any sensitivity or allergic reactions when wearing these shadows, which can sometimes happen with shadows containing red dyes. The only downside, which really isn't that big of a deal for me, is that the eyeshadows aren't named anywhere on the palette. So if you are a stickler for cute eyeshadow names or simply like to reference eyeshadow names for tutorials, that might be a drawback for you. Other than that, I 100% LOVE and recommend this palette. I am very interested in trying out the other ones, which seem more dramatic, whereas this one is more practical for everyday use. I also love how compact and travel-friendly this palette is and, while each eyeshadow contains half the the amount of a typical single shadow, you get 16 of them for only $18 (sounds like a deal in my book).